This past weekend I was very fortunate to attend a part of what I define as a chapter in BJJ history. My mentors, the Machado brothers had their annual camp in Dallas, Texas. The camp is a three day seminar coordinated by my instructor Carlos Machado for he and his brothers to spread Jiu-jitsu, philosophy and the goals to expand our Martial art to the public. Close to 100 people were in attendance, and it was like a homecoming to me in many ways. I talked to old faces from my white belt days, which obviously is a nostalgic aura. When everyone was eating lunch during break, I was given a very special welcome by Rigan, John, Carlos, Roger and Jean Jacques. I think we talked about so many subjects from health to history just like we were all having coffee in a living room. This is special to me. When I see my students, I never take one moment for granted. Each time I see my out of town students, I personally want to sit, talk and train with them to let them know my students are always in my heart and appreciation for their continuous education in Jiu-jitsu with me. 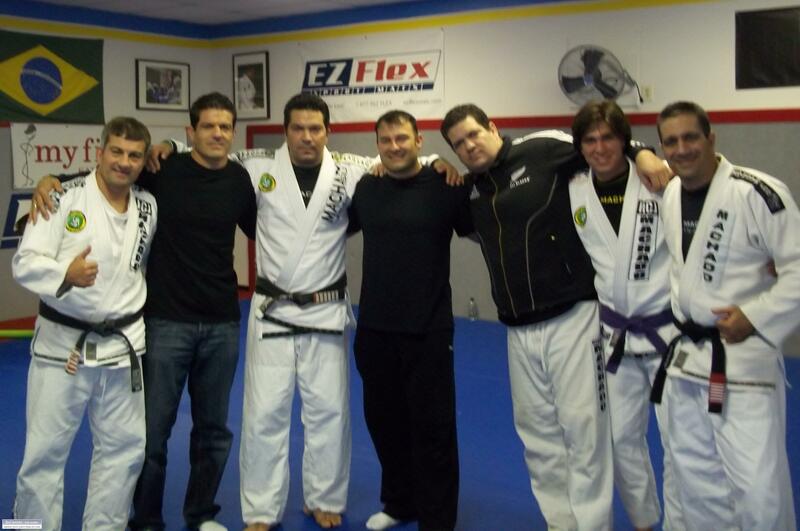 Carlos asked each of his new black belts to speak, and he called me to speak last. 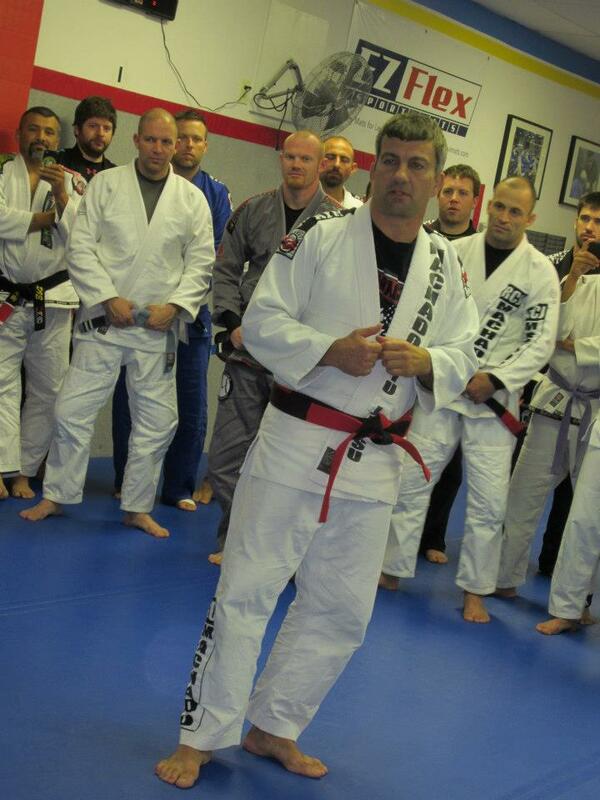 I listened to the drive, energy, and even emotional speeches from very hard earned black belts. I listened to one speaker who was so emotional, and this emotion is not immaturity, it is akin to a boiling pot of water with the experience and love of their relationship to Jiu-jitsu with the Machados. When I spoke, I simply wanted to give respect, honor and acknowledge my relationship with the Machados. 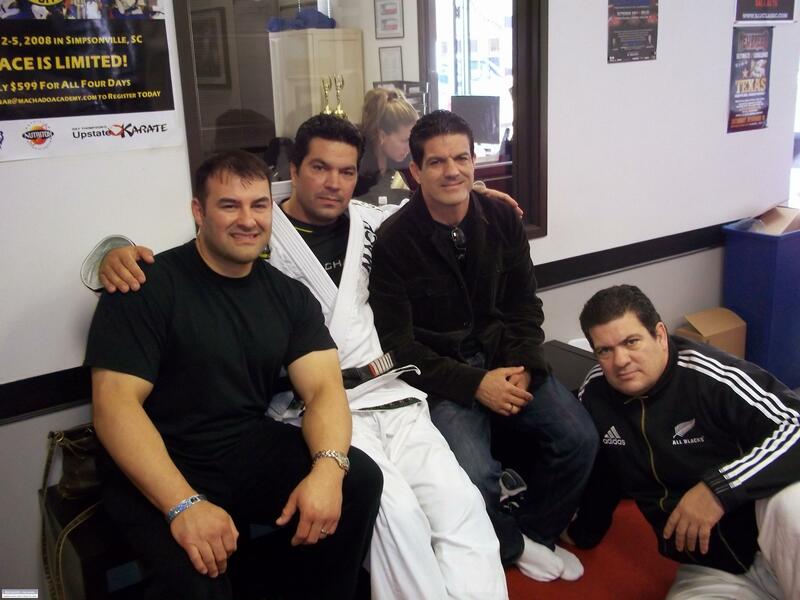 These are five brothers who have come to the USA and end up becoming some of the highest, and top level of knowledge and philosophy in Jiu-jitsu. I wanted them to hear that. I wanted them to understand of all the difficult times, even times of struggling, building up their schools in the USA, and what they have given is not fogotten. Not by me. I chronicle everything in my life, and I also have chronicled the Machados history. In 2001, when I trained a week with Rigan in California, he told me about when he came to the USA. He told me that he worked doing dishes and odd jobs and teaching Jiu-jitsu with a small group to begin a journey that his brothers later followed to the USA. Rigan is a man who has great potential, even today. Rigan has been regarded as the top technical BJJ player. When we caught up in conversation, I remembered all his stories he told me in 2001. I remember his story he told me of a small child who was a beggar in Brazil. Rigan found him, and fed him, and sort of adopted him until he found a family to adopt him. This is a martial arts responsibility we take outside of the school. Speaking with John Machado, I had the pleasure to met his son Jean. I enjoyed listening to his philosophy and perspective on training in Jiu-jitsu to attack, finish vs. the stalling, or point game. I think we could have spoke all day. These two points about Rigan and John encompass what true philosophy, and being a human being and a humble instructor is about. We never talked about the UFC or winning, just history and philosophy. Very humble, and more importantly, an angle of a Martial artist we all should stay on. When Carlos asked me to speak, it was a word reflecting my belt rank. Although I spoke formally to thank and acknowledge my fourth degree black belt, technically it was June 1, 2012 when it was formally granted to me. When I received my fourth degree black belt, I never mentioned it in my class, my school or to any of my students or anyone. Not even my wife. Why? Because I felt my research, exploration of new techniques, philosophy and my goal to teach better and develop faster, more productive drills and techniques to bridge the learning gap is really what my goals are. It disciplines me to keep the humility of our accomplishments. Being confident is different. I have confidence in my techniques, but not arrogance. And I note that when i received my rank, I humbly thanked my instructor for all that he has given me to earn what I have. Later I striped all of the stripes on my belt to match the fourth degree. This is where some of my students noticed and began asking me and I did acknowledge my rank. My instructor, Carlos Machado is an innovative man. He has goals, desires and motivation to expand Jiu-jitsu and to spread the message to those not introduced yet. he taught me this. At my academy, my drills are for testing next month of ranks in students. I have a drill devised for intermediate to advanced strategies. Carlos does this with his philosophy. When I heard that, I remembered why I didnt tell anyone about my receiving my fourth degree Black belt. And of course, listening to him say that also reminded me where I got my philosophy from. He wore his black belt for years until his brothers formally announced him as a coral belt. Interestingly enough, Jean Jacques Machado took his coral belt (8th degree red and black belt) that Master Rickson Gracie awarded to him, and gave it to his older brother Carlos. The award was more to recognize Carlos and to also affirm to him his rank that he technically should have been wearing. 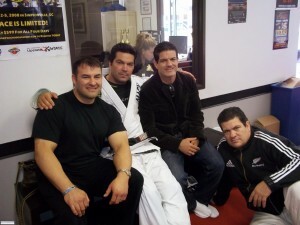 Jean Jacques to me is one of the hardest working Black belts in the world and understands work ethic and about awards. I think he is right. And I think everyone at the camp would agree with him.